Thanksgiving is a holiday celebrated in the United States on the fourth Thursday of each November. The holiday is used to give thanks (hence the name “Thanksgiving”) for the blessing of a new harvest and the past year’s bounty. Thanksgiving has been an official holiday in the United States since 1863, and because it celebrates the agricultural year, the largest part of the celebration is the Thanksgiving meal, sometimes referred to as a feast! The typical Thanksgiving meal is eaten for lunch, dinner, or sometime between the two. Most families enjoy roasted turkey and stuffing, mashed potatoes and gravy, cranberry sauce, buttered rolls, and various vegetables such as carrots, squash, and asparagus. Stuffing is a filling made of vegetables, fruits, and bread that cooks inside the turkey. Gravy is the sauce made from juices that run from the turkey while it’s cooking. Last but not least, dessert is a fanfare all on its own, with pumpkin pie as the most popular dish. Of course, not everyone eats the typical Thanksgiving dinner with turkey. There are alternatives like the vegetarian’s “Tofurkey” (a combo of tofu and turkey, since it’s imitation turkey made of tofu). Many others enjoy a large sliced ham or roasted chicken instead of turkey. We all enjoy seeing bright green leaves change to yellow and orange and brilliant reds and golds. But why do leaves change color? We rarely think of why, but of course, there is a reason. Leaf colors come from pigments. Pigments are natural colors created by leaf cells. There are three types of pigments: chlorophyll, carotenoids, and anthocyanins. Chlorophyll is a green pigment which allows plants to convert sunlight into food and energy. Plants that are healthy and get enough sun, then, tend to have bright green stems and leaves. Carotenoids are yellow and orange pigments in plants like carrots and corn. Anthocyanins are red in pigment and can be found in plants like cherries and strawberries. Leaves change colors when days become shorter and nights become longer. Because of this, trees and bushes are given less sunlight and use less chlorophyll. As trees stop making chlorophyll, carotenoids in leaves show through in yellows and oranges. As trees attempt to recover nutrients from falling leaves, they release anthocyanins, coloring them at last a bright and beautiful red. Evergreen trees are the exception to the rule. Pines, spruces, cedars and firs do not lose their leaves, or needles, in winter, and they remain green in color. A wax coating protects them and they do not freeze like other trees’ leaves. The Blue Ridge Parkway is a route famous for its gorgeous, glorious fall colors. 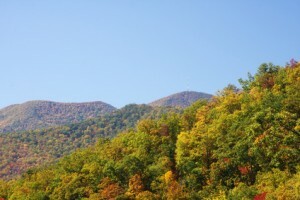 It is so popular that blueridgeparkwaydaily.com offers a “Fall Colors Tracker,” notifying potential visitors of days with the best fall foliage displays. Numerous tourists enjoy driving down the Blue Ridge Parkway simply for the changing flora as autumn sweeps by. The Blue Ridge Parkway stretches from North Carolina to Virginia over a distance of 469 miles. Because the Parkway’s elevation can vary from a low of 650 feet above sea level to 6,000 feet near Mt. Pisgah, finding the perfect spot depends on a wide range of circumstances. You need the weather to be right, for sleet and snow to not ruin leaves, for rain to energize the leaves just enough, and for balmy weather to slowly change to cool weather just in time. You also need to be at the right altitude for the most brilliant colors—not too high, not too low. This may sound frustrating or like I’m overanalyzing, but one of the greatest joys of the Blue Ridge Parkway is driving along it with no destination in mind, simply enjoying whatever views you stumble across. There are numerous places to pull over and enjoy the scenery, so bring a camera and your hiking boots! Fall has come. 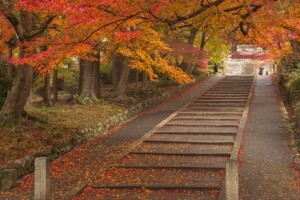 Also known as autumn, this season is marked by cooler weather, light breezes, and the shedding of trees’ leaves. Trees once bright and green in spring become withered and gray as they lose their leaves in gorgeous color bursts of browns, reds, oranges, and yellows. When it gets too cool outside, there’s nothing like a nice bowl of soup to warm you back up. One of my favorite soups for the fall season is pumpkin soup. Whereas most Americans chow down on pumpkin pie, I find that pumpkin soup is even more delicious. Like pumpkin pie, pumpkin soup can be sweet, with spices like nutmeg and cinnamon. Others prefer to make it savory with spices like cumin and black pepper. Personally, I prefer a savory pumpkin soup complete with roasted pumpkin seeds on top and swirls of sautéed carrots and kale. 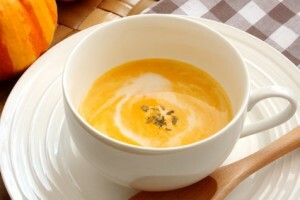 Pumpkin soup is a hidden culinary gem, and it’s good for you too! Although many stick to pumpkin pie or carving their pumpkins into Halloween jack-o-lanterns, pumpkin has many health benefits as well. 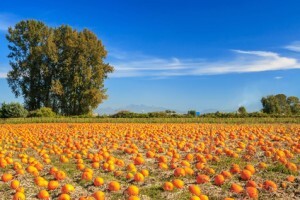 For one, pumpkin is rich in Vitamin A which keeps your eyesight sharp. Pumpkin seeds, on the other hand, have been shown to lower bad cholesterol. Perhaps most amazing, pumpkins contain an antioxidant called beta-carotene, which could possibly work to prevent cancer in humans. Sure pumpkin soup is tasty, but these are some great reasons to go make it! Let’s cook. *Warm you back up: to warm you again, meaning you were warm inside, went outside and became cold, and now need to become warm again– Pumpkin soup will warm you back up! Italy is known for a wide variety of things. There are the beautiful beaches on the Mediterranean, the rolling hills of Umbria, and numerous churches and monuments to take your breath away. Most of all, perhaps, Italy is known for its food and drink. If you’re looking to wine and dine, Italy is the place to be. There’s spaghetti, ravioli, pizza, gelato, homemade breads and tiramisu, ricotta and pecorino cheeses, truffle oil, and countless other specialties. Maybe even more popular than the food is the wine. Italy is famous for having the most delicious wines in the world, and it is also the largest producer (though France comes in a close second). This makes perfect sense—Italians have been making wine for over 2,800 years! 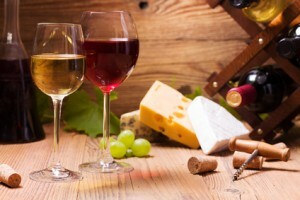 Winemaking is considered an art, and wine-tasting is considered a very valid hobby. Some people, known as sommeliers, even work as professional wine tasters and recommenders. Although the United States is only the fourth largest wine producer in the world, it’s the third largest consumer of wine. On average, Americans drink over 3 billion bottles per year! That’s a lot of vino. Compared to Italians, though, we hardly drink at all. For every bottle an American drinks, an Italian downs almost three! Halloween is a sometimes scary, often lighthearted holiday celebrated by many Americans each October 31. Halloween festivities include carving pumpkins with silly or scary faces, visiting or running through haunted houses, trekking through corn mazes, competing in costume contests, attending spooky parties, and of course, trick-or-treating. Kids dress up each Halloween in costumes ranging from sweet and pretty like angels, pop stars, and elves to scary and strange like ghosts, devils, and werewolves. They hurry out as soon as the sun has set and night has fallen to trick-or-treat, meaning move from house-to-house asking for candy. A common slang saying is “Trick or treat, smell my feet, give me something good to eat!” Children recite this rhyme, or simply say “Trick or treat!” when asking for candy from neighbors. Halloween is celebrated by many but it is not observed as an official holiday. Kids still attend school, and adults still go to work. 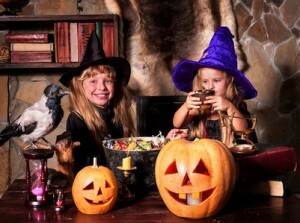 Still, after school and work, many enjoy decorating their houses with fake cobwebs, ghosts, string lights, witches and wizards, and tombstones and rats. Fake skeletons hang from trees and creepy music can be heard playing from many windows on the night of October 31. Copyright c 2019 Global E-Network Co.,Ltd. all right reserved.